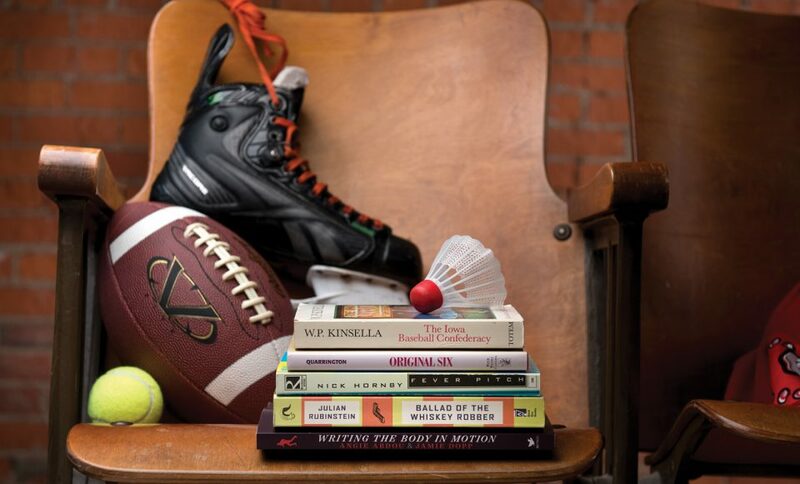 Looking for a sports-centric read? We’ve got you covered. Two pieces from this anthology stand out: Dave Bidini tells the story of Charlie Gardiner, the Chicago Blackhawks’ goalie who led his team to the Cup in 1934 but died just months later. Gardiner is portrayed as having foreknowledge of his death – but understanding that winning meant so much, that the opposition goalie, Wilf Cude, would have gladly traded places with him. And Quarrington tells the story of former Edmonton Eskimo (the hockey team, that is) and Boston Bruin Eddie Shore, who was the early definition of the hard-as-nails tough-guy. Shore misses the team train for a road trip, so he hires a car to take him through a blizzard so he can meet his team. Most sports books are about teams, players and/or championships. But Nick Hornby’s Fever Pitch is vital because it focuses on what it’s like to be a fan. Hornby doesn’t describe his love of Arsenal, one of England’s biggest soccer clubs (I’m also an Arsenal supporter, so I’m biased, here), in rosy terms. He discusses obsession, about pushing relationships aside so he could focus on Arsenal, and losses, losses and more losses. In Fever Pitch, Hornby hits the inherent truth of being a sports fan – that it’s not the winning that brings us together; it’s the losing. I think Oilers fans can nod and totally relate to this. I mean, is there a better Twitter meme than #HereComeTheOilers, which unites a fan base around our team’s poor play? You could argue Oilers fans were more united in the Decade of Darkness than the glorious ’80s. When Hollywood remade this book into a bad baseball movie, it ruined Jimmy Fallon for me, forever. The myth and magic of sport play major roles in Canadian literature. In this collection of essays, Abdou (author of The Bone Cage) and Dopp allow the reader to really give pause about the some Canadian standards (think Paul Quarrington’s King Leary or W.P. Kinsella’s Shoeless Joe). In reading these essays, the reader grasps why sport makes for a lush, literary field for a writer to play on – the reader has a need to be astonished, to believe in magic, the need to see the incredible. Hungarian professional ice hockey is, well, as bottom-of-the-barrel as it gets. Only in Hungary could an alcoholic janitor get hired on to become a team’s back-up goalie. Yes, this is a true story. It’s the tale of Attila Ambrus, who became a folk hero in Hungary for becoming Viszkis, a bandit who would get stinking drunk before knocking off banks. And, through it all, he’s playing back up for jpest, one of the bigger clubs in the Hungarian league – which is kinda like being one of the biggest gnats on the dog. To me, it’s the perfect baseball book. It captures one of the most important things that separates baseball from other sports: There is no clock. The 1908 Chicago Cubs travel to Iowa to play an exhibition game that doesn’t end. Inning after inning goes by – and, to hammer home the timelessness of it all, various historical figures drop by to take in this eternal struggle.